I consider myself lucky that I got to visit Greece: although it’s one of the most hotly debated countries in Europe, its extensive history always interested me and I fell in a little bit in love with the place. I had been thinking of going for a while but when a friend of mine found some really cheap tickets, that was my decision made. Our whole trip was completely on-the-go but I think we got to see some of the best bits on our short trip. At Athens Eleftherios Venizelos Airport we got our first glimpse of the city – mostly local Athenians and tourists and the heat! Unfortunately we arrived at night, so the spectacular sunshine would have to wait until the next day. After a small delay we got our luggage and headed for our hotel. 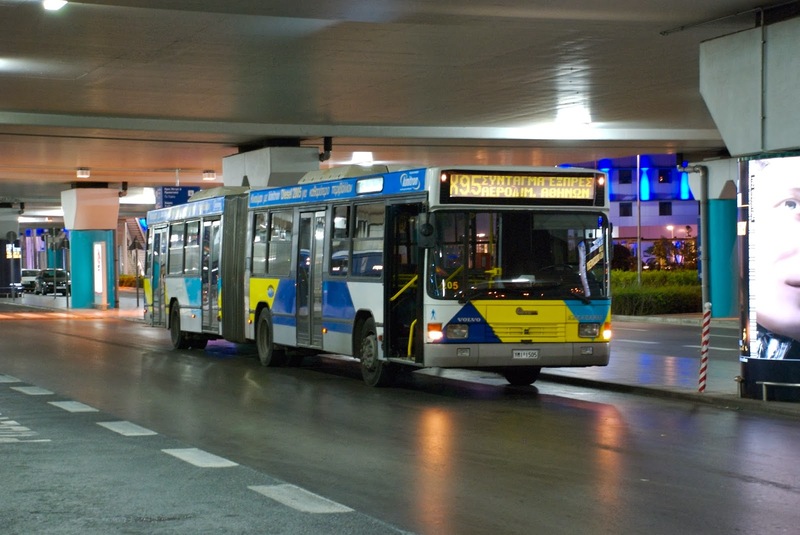 There are plenty of ways to travel from the airport, we took the bus, which was the cheapest, but the metro or taxis are also available. After a relatively early start the next day (we had spent some time discovering a couple of bars on Kolokotroni Street) we wandered around the city centre to soak up the atmosphere and culture. Syntagma Square is the buzzing heart of the city. People meet friends; gather for events, or watch the changing of the guard (Evzones) at the Parliament building. In front is the central shopping street of Ermou and just beyond is Monastiraki Square and Plaka. 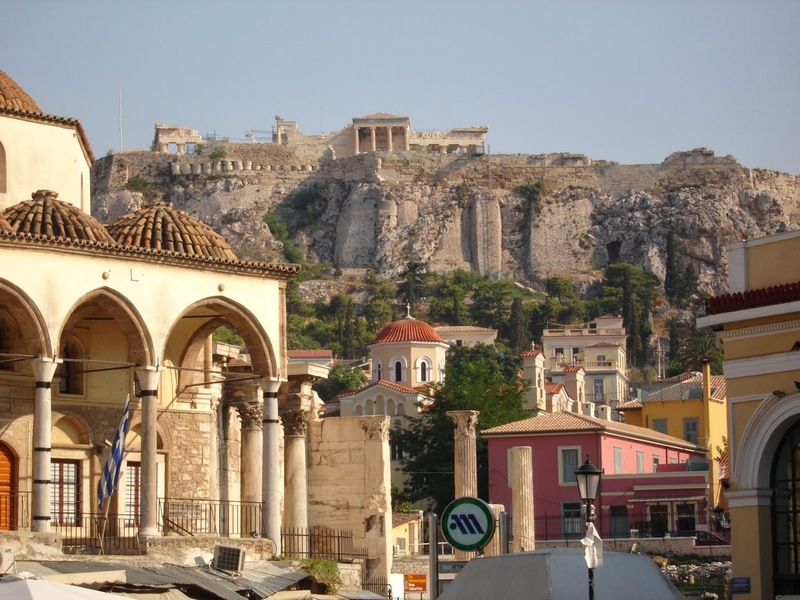 This was one of our favourites, there is something special about drinking coffee like a local under the Acropolis. Afterwards we went to the ancient hill, which, although very busy with tourists was worth going to. If I go back, I would try to go early in the morning instead and pay a visit to the New Acropolis Museum. While I was walking around the city taking it all in, I happened to meet an old Erasmus student I knew. What are the odds? He arrived in the city three years ago and is still there. His local knowledge was everything we needed! He told us to take a couple of days on some islands to make the most of the weather. 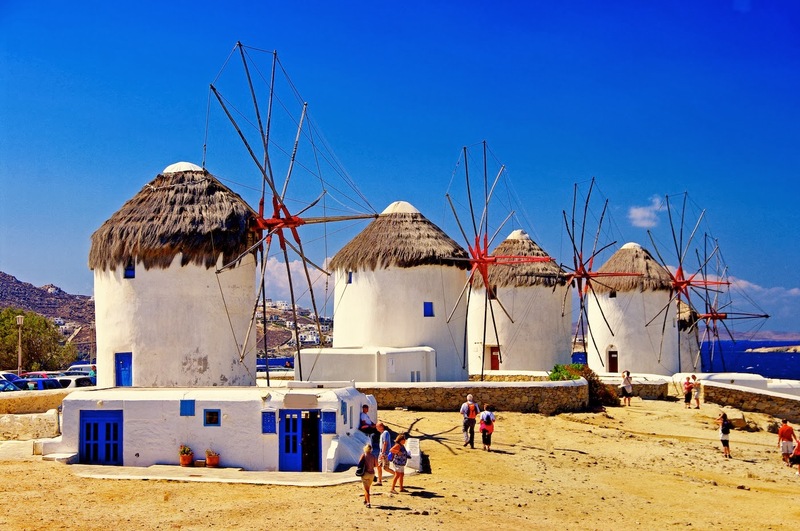 So, with that in mind, we booked Mykonos and Santorini with Keytours. After being picked up from our Athens hotel, we were taken to Piraeus Port, where we started our four-hour cruise. We went by Syros and Tinos and actually, the boat was very relaxing and the views were great. On arrival in Mykonos we were transferred to our hotel before we went out to grab some dinner. We spent all of the next day exploring, taking silly pictures by the windmills and tiny alleyways. The whole island seems to be filled with whitewashed houses; it’s very quaint and really beautiful. Then, we went to the beach… of course!! We spent our day on Psarou beach. When night falls, everything really kicks off. We went to Paradise beach club, then to the town centre, for some drinks and dancing. It’s safe to say, we may not have actually had any sleep that night. After all the partying in Mykonos, it was hard to leave, but then, we did have Santorini to look forward to. It’s the so-called most romantic island in the world, couples from all over the world come here to get married and it’s pretty evident from the minute you set foot there. However it’s still worth a look whether you’re planning on getting hitched or not!! We rented a car and drove the whole length of the beach front, stopped at a couple of bars like tango and Casablanca ta Fira and went to the black sand beach and got some great views of the caldera. We were there for a good time, not a long time! The highlight had to be the sunset view. 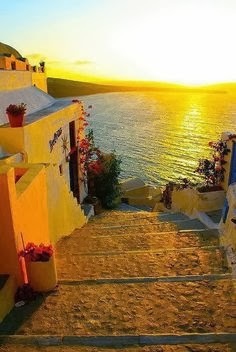 Although it’s packed with people, the sunset over Oia rightly deserves its title of most famous in the world. People actually applaud when the sun finally goes down. We spent our last bit of free time in Santorini in the town of Fira. It’s got some souvenir shops, tavernas, but really, the views are worth going for. We had lunch at a restaurant overlooking the volcano. In the afternoon the bus picked us up to bring us to the port and we took a chilled out ferry back to Athens. To be honest, summer in Santorini is something I’ll never forget, even if it was only for a few days. So, Athens, Mykonos and Santorini certainly exceeded my expectations. 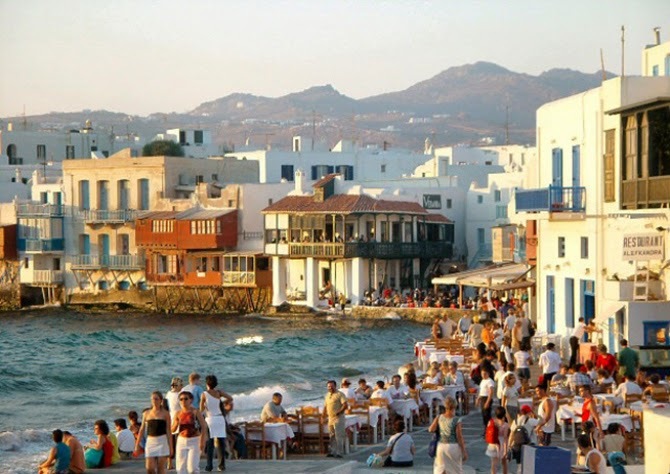 A buzzing city, a clubbing party island and a relaxed end, I thoroughly enjoyed my visit to Greece and look forward to going back.